There was never enough time. Being a full time student and commuting from quite a distance has some straining effects on my time. However, the strains tend to be created out of my choice whether I like to admit or not. One of those strains used to prevent me from working out consistently throughout the week. What is ironic is that I never had the time to work out when I used to live on or near campus. One would imagine that being so close to the gym would give me an incentive to workout. For the last two months, I have successfully worked out throughout the week in one hour sessions. There have been days in which I missed a workout but they are few and far. 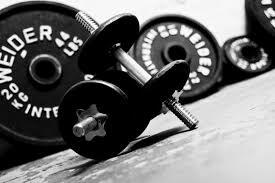 Whether I am tired, feeling depressed, or if it’s late in the evening, I always have to get a workout done. The results have been satisfactory, I have gained decent amount of muscle. Working out for two months has proven to me that I can mold my physique, but more importantly, that I could commit to achieve a greater will. I will admit that I work out to look good but consequently I have also started to feel better, perhaps because I know that I can control how my body looks but also how it performs. Ultimately however, my body may be one of the few things in which I have total control in my life.